The Screw City Cyclocross was awesome. Pictures and results below. Race #2 is on Saturday, April 6th at Alpine Hills. Registration is open here. Be there! RRM Meeting at Lucha Cantina this Wednesday at 7p. Tonight and Saturday are the last two days of PSX. Don’t miss out. Spring bike racing is here and we’re going straight into the next event Saturday, April 6th. We wheelie want you to be a part of it. Thank you to everybody that was a part of Sunday’s event by volunteering, participating, or spectating. Several did all three! I’m a bit tired and still catching up from the weekend, so I’ll leave you with the bare essentials from the event a little below this. Our monthly club meeting is a great way to meet other club members. Join us tomorrow night at 7p at Lucha Cantina to learn more about a collective for endurance events in the region and discuss group training for the upcoming season (yes, it’s coming soon). The Pactimo store will be open soon to get our new club gear in before the first multisport events of the year. Watch your email and Facebook. I’m probably forgetting something. Or multiple somethings. Have a great week! 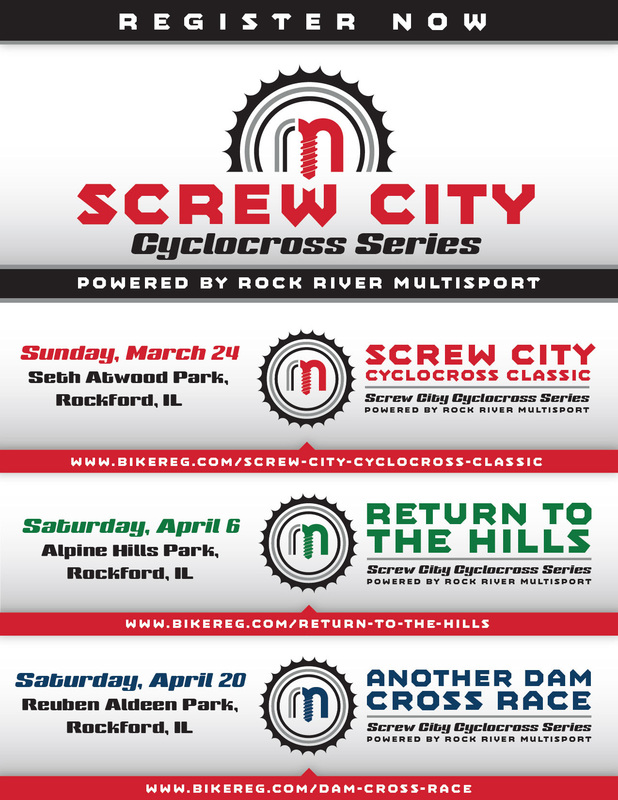 Results from Screw City Cyclocross Classic will be live at http://tri-3timing.com/results any minute now. Check out Dr. Joe Frost of Frost Family Pet Clinic (voted best veterinarian clinic in Rockford for the last several years) if you have any cute animals at home needing care. 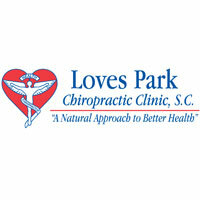 He’s our veterinarian and his clinic does a great job. There’s six albums from last year here as well! The next race is at Alpine Hills. It’s a snow park, golf course, and zip line location….which means there’s some elevation. It’s a stunning park and especially more so for being right at the corner of E. State and Alpine. There’s a patio area that overlooks the entire park and is great for spectating. We’re also spoiled by a paved parking lot and actual bathrooms. There’s still a massive snowpile from the tubing hill, so expect that to be included somehow in the race. Get signed up! The second race of the day is only $10 and your third race of the day is free with code “DEADLEGS” during checkout. Prices go up $5 for day-of registration, so please get signed up online before that Saturday. Follow @ScrewCityCX on Twitter and Instagram for live updates! 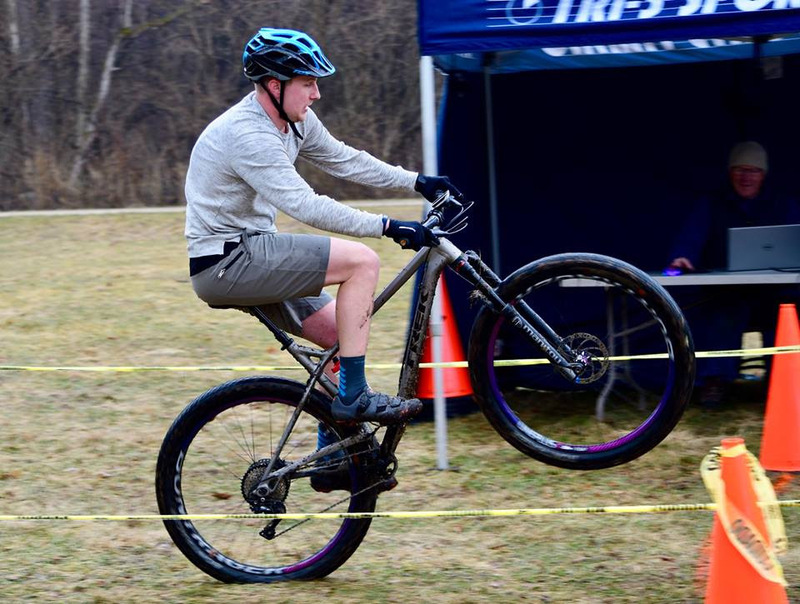 Club member Ryan Satterlee made a big list of most of local bike related events for 2019. You should check it out at http://nicyc.com/. Email him at rsatterleeniu@gmail.com if you have any additions. Pretty cool resource! Ready to become a member?? Rock River Multisport is a non-profit club based in the Rock River Region of Northern Illinois. RRM is built by endurance focused athletes of all skill levels. RRM focuses on creating a community for collaborative training and mentorship and seeks to promote healthy lifestyles through local opportunities for its members to train and race with a supportive group of like-minded individuals. We pair athletes together for training and racing opportunities and seek sponsors and local partner affiliations to help our athletes make and achieve their athletic goals in a number of endurance sports (swimming, running, cycling, triathlon, x-country skiing, endurance racing, inline skating, etc.). Most importantly of all, we want to create a fun atmosphere for people who are interested in sharing what it takes to compete in endurance sports and enjoy life. While predominately a social club, expect to see exciting training and racing events in areas currently missing from the area! 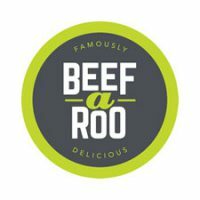 Copyright © 2019 Rock River Multisport, All rights reserved. 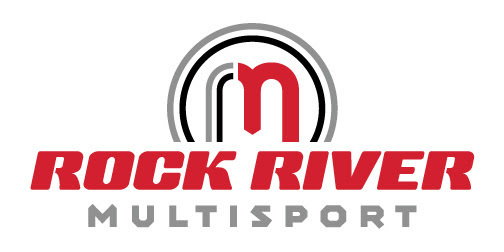 You’re receiving this newsletter because of your connection to Rock River Multisport. If you don’t want any more of these messages, unsubscribe below. We would love for you to be a part of the club, but no hard feelings if you choose otherwise. If you would rather this message be sent to a different email address or if your name is goofed up, you can “update your preferences” too.